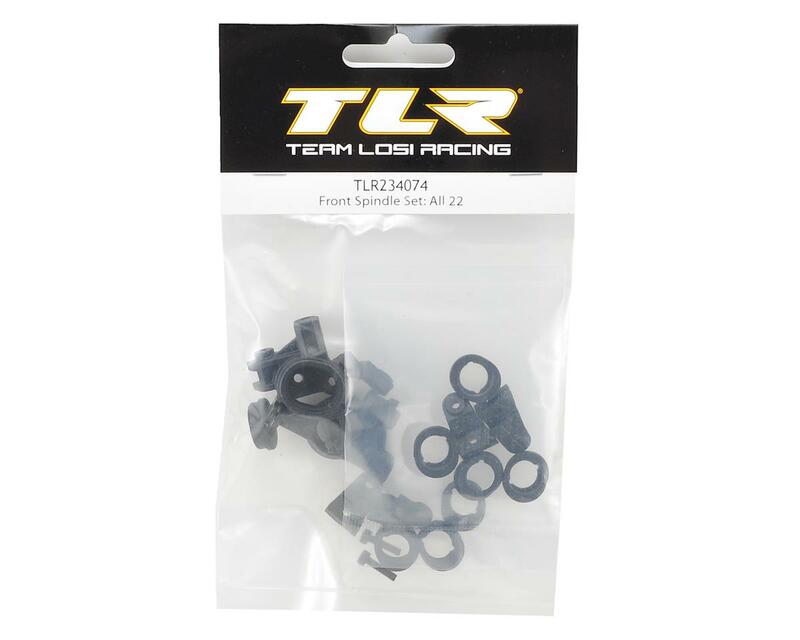 This is a replacement Team Losi Racing 22SCT 3.0 Front Spindle Set. 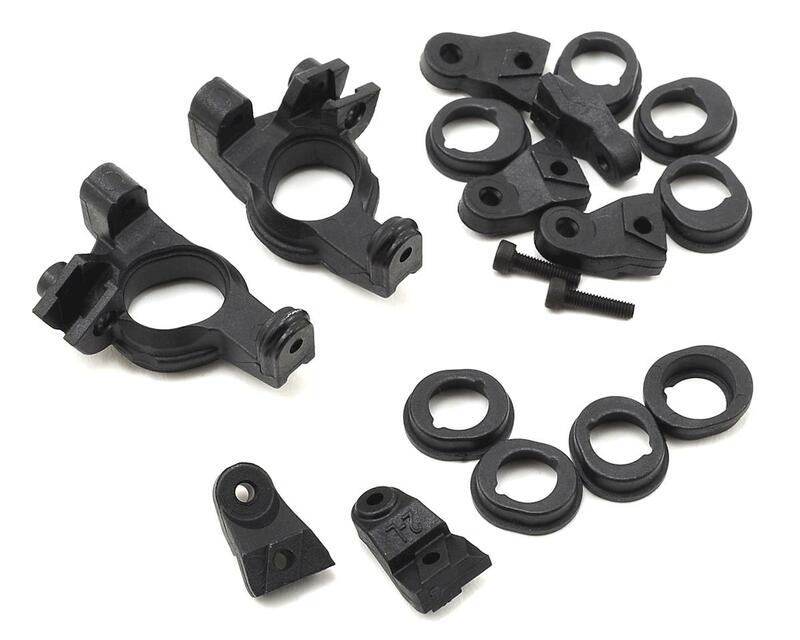 These adjustable front spindles give racers the ability to tune Ackermann, trail, and roll center without the need to purchase additional parts of spindles. Trail can be adjusted to 2mm, 3mm and 4mm settings. Included are two different Ackermann settings, #1 and #3 inserts, while #2 inserts have the same setting as #1 with ability to remove bump out when running the spindles full up. The spindles allow racers to raise the front axle an additional 2mm when compared to previous 22 spindles.